Congratulations , to Dave Barnwell who won the Alf Clews Award for 2016. 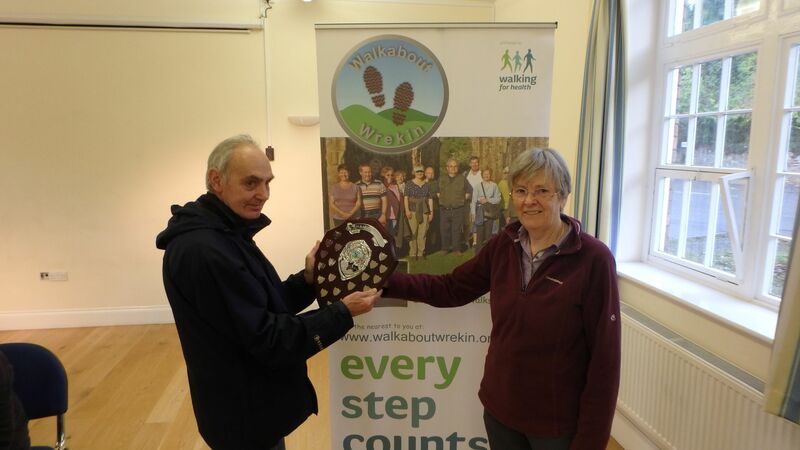 The Alf Clews award is presented annually to the Walk Leader or Walker who have supported and made a difference to Walkabout Wrekin. Dave, has been a Walk Leader for Walkabout Wrekin for many years, he leads the Tuesday 2.00pm Stirchley walk and the Monday and Friday Town Park walk both starting at 2.00pm. Dave has also assisted the training team by leading a demonstration walk for the new walk leaders. Over the past 18 months Dave has lead a total of 127 walks , which equals 115 and half hours of volunteer. Congratulation Dave, well deserved!